Mention the platform heel and there are two things that likely come to mind: a) the glam swinging '70s and their disco-dancin', floor-sweepin' bell bottom pants; or b) that awkward bracket sandwiching the late 2000s, not quite far off enough to be retro-cool, where stacked round-toe pumps and chunky stiletto sandals were all the rage. Either answer, we don't blame you for considering them, well, a tad too old-school. It's 2018, though! Time to hit refresh. Below, check out seven ultra-current ways these style stars are clunking and clomping down the street! 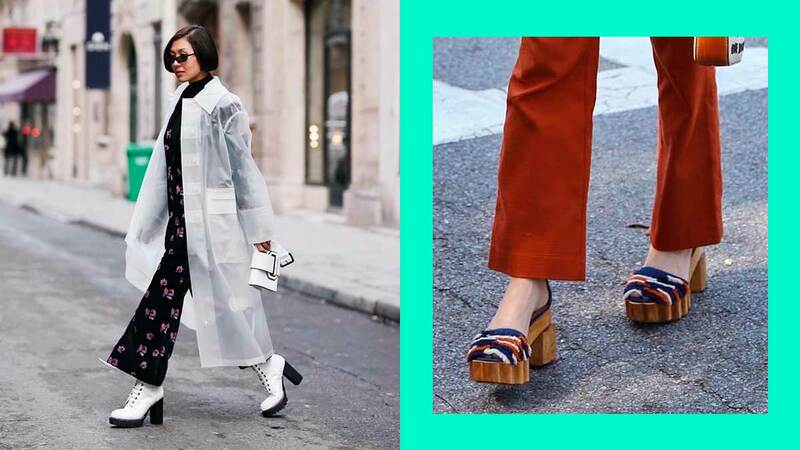 After all, an extra height boost is always chic! 7. Margaret Zhang has the simplest advice: just throw on a slouchy, oversized suit and go already. Jeez.